If you have ever tried to create anything using K’nex you are sure to appreciate this awesome pinball machine created using the construction sets. 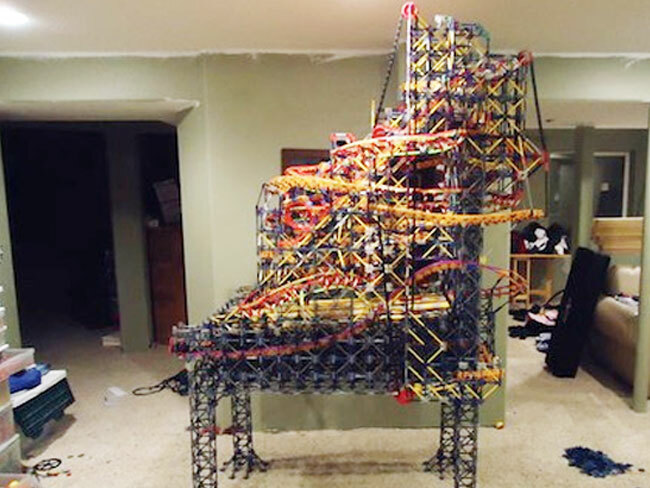 If you are not sure what K’nex is, its a construction toy system invented by Joel Glickman, that consists of interconnecting plastic rods and connectors that can be used to create weird and wonderful gadgets and contraptions. Watch the video after the jump to learn more about the pinball K’nex project and see it in action. The K’nex Pinball has been created by instructables user Alocke, and includes a numb rod different routes for the balls to take including some excellent lifts which have been created to transport the balls from certain locations within the pinball machine.